Expertly crafted, each timepiece created by New York fashion brand Coach is designed with contemporary style in mind. 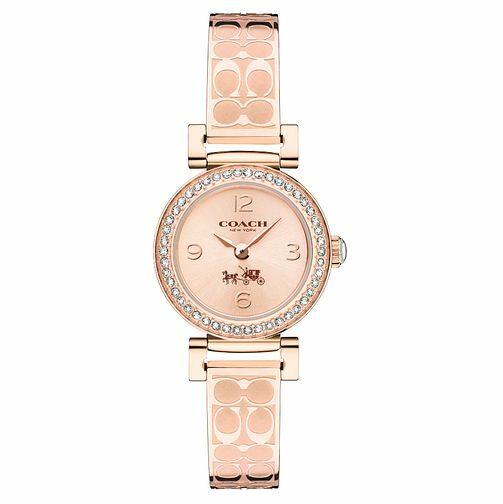 Beautifully sophisticated, this watch is gorgeously distinctive with its rose gold toned case and stone set bezel, branded bracelet, and rose gold dial. Effortless New York timekeeping from fashion brand Coach.